A judge has ruled that coffee sellers in California must warn people that coffee may contain a substance linked to cancer. The Council for Education and Research on Toxics brought a case against dozens of coffee companies in 2010. The not-for-profit group wanted the coffee industry to either remove the chemical acrylamide from its processing, or warn buyers about it. Acrylamide has been identified as a possible cancer-causing substance. The chemical is naturally produced during cooking at high temperatures, including during the roasting of coffee beans. California state law requires warnings to be written on products containing chemicals identified as possible causes of cancer or birth defects. The coffee industry had argued that the amount of acrylamide resulting from the coffee-making process is not enough to cause harm. 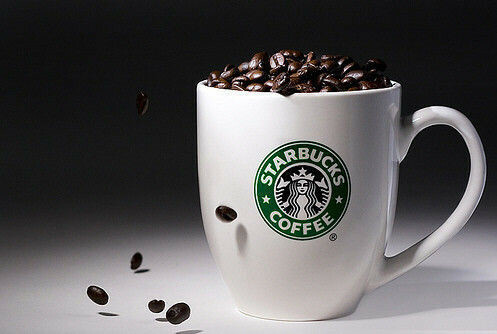 Starbucks and other major producers have cited studies suggesting that coffee provides several health benefits. But Los Angeles Judge Elihu Berle ruled Wednesday the companies had failed to prove that acrylamide levels in coffee do not cause harmful effects. Coffee companies have resisted calls to remove acrylamide from their products, saying it would change the taste of the drinks. In a statement, the National Coffee Association criticized the ruling and said it was considering an appeal and other possible legal actions. "Cancer warning labels on coffee would be misleading," the statement said. "The U.S. government's own Dietary Guidelines state that coffee can be part of a healthy lifestyle." Many coffee stores already have put up warnings saying acrylamide is a cancer-causing chemical found in coffee. But such signs are often put in places not easily seen by buyers. The lawsuit also seeks civil punishments as large as $2,500 per person for every incident of exposure to acrylamide at California coffee stores since 2002. Those punishments could reach huge amounts in California, which has a population of nearly 40 million. The ruling does not become final until April 10, giving coffee companies the chance to dispute the decision and seek an appeal. The total livestock number is twice as large as it was last year. They also found a way to reduce these drug-caused birth defects. All of these industries have at one time or another been linked to cancer. Studies about the mental health and physical health benefits of pets abound. 5.But Los Angeles Judge Elihu Berle ruled Wednesday the companies had failed to prove that acrylamide levels in coffee do not cause harmful effects. We expect to be protected against electrical power failure and the harmful effects of pollution. Institutions have harmful effects on children. 6.The Council for Education and Research on Toxics brought a case against dozens of coffee companies in 2010. That is a heavy charge which you bring against yourself. What accusations do you bring against this man?